The self induced implosion of Dana Nuccitelli | Watts Up With That? @RogerPielkeJr @dana1981 Roger's not referenced, just Muller. We never even thought about Roger's work in putting that together. At this point, I asked Dana to clarify which tornado experts claim Roger is “misleading the American public”? He didn’t respond. What he did do is move the goalposts. But even that was incorrect, as Brooks quickly pointed out. @dana1981, Let me know when you find that tornado expert that says @RogerPielkeJr is misleading the public. Dana continues to embarrass himself and the community that he purports to represent. Dana may not like those conclusions. He may disagree with them. That is fine, happens all the time in science. Rather than trying to accuse me of “misleading the public” by claiming falsely that other experts had made that accusation, he might instead try to explain where our analysis of tornado data is mistaken in its analysis or conclusions. I am happy to hear his arguments, were he to actually make any. The idea that a climate blogger can somehow dictate what an academic can and can’t say about their own research gives a window into some of the deep pathologies in the climate debate. I did state in my Congressional testimony that “The inability to detect and attribute changes in hurricanes, floods, tornadoes and drought does not mean that human-caused climate change is not real or of concern.” Dana is picking the wrong fight — wrong topic and wrong person. I will continue to discuss our published research, and will do so accurately and faithfully to what we conclude in the peer reviewed literature. I’d ask Dana to follow the same standards. Dana Nuccitelli >> Roger Pielke Jr.
You’re shifting the goalposts again, Roger. I didn’t say anything about your research. I’m not in a position to say if it’s wrong or right. Your statements to Congress, which I quoted in my comment, are not consistent with your research. You left out the critical caveats that the data aren’t sound enough to make conclusive statements – instead you made those conclusive statements to our policymakers. That is exactly the type of behavior criticized by Markowski et al. in their Op-Ed, as I quoted in my comment. And really, can’t you make your arguments without claiming I’m ’embarrasing myself’? Let others make that kind of judgment for themselves, if you believe your arguments are sound. I suspect your abusive comments are due to the fact you know you’re in the wrong, and are trying to distract from the fact that you refuse to admit your errors. Why don’t you just admit your Congressional testimony was misleading in the manner criticized by Markowski et al.? We all make mistakes. I’m willing to admit my initial Tweet was imprecise, because while the Op-Ed criticized comments similar to yours, they didn’t name you specifically. That was my mistake. Dana, this will be my last reply to you as you continue to lie and misrepresent. You can argue that scientists have accused me of misleading the public and you can claim that my testimony is inconsistent with my research. In both cases the evidence shows you to be not simply wrong, by misleading and even lying. I do appreciate your willingness to dig in your heels and continue this display. I agree with you that those paying attention will be fully empowered to reach fair conclusions. Thanks again for the exchange. Very educational, and not just for me. Someone is wrong. If you want to argue Markowski et al. are wrong, then do it. But don’t try to hide behind what you said in your paper, because that’s not the issue at hand. The issue is the above quote from your Congressional testimony. And I agree, this has been very educational. Though I didn’t learn much about you that I didn’t already know. At the most macro of levels, the thrust of Pielke’s research findings are not being contested. If there is a climate change signal in the phenomena Pielke has studied, it is either or both too slight or too recent to discern. At the general level of climate discussions Pielke’s findings clearly are an effective (if not conclusive) counter argument to those claiming that Xtreme Weather is already upon us. As even the IPCC does not claim this (but rather echoes the ‘too slight, too recent to discern’ position), Nuccitelli’s blasts (which are, as Keith points out) not unusual, can be taken as political agitprop against someone he perceives as an enemy. As for Pielke’s comment on this thread, Pielke is clearly wrong. Nuccitelli and the community he purports to represent are impervious to embarrassment–witness the acceptance of slipshod science that favors their side, such as Lewandowsky, Prall, Anderegg et al, etc., and their blithe embrace of criminal behavior by Peter Gleick simply because he’s on the side of the angels. Nuccitelli’s just a hitman and it’s important to recognize that in this dispute he has won despite being wrong on the facts and sleazy in his approach. Every published slam against Pielke (in this case–there are dozens of other targets) becomes a reference point that he can use himself to say (a la Joe Romm) that Pielke has been debunked. These garbage tactics work, so they don’t stop. They trashed Pielke’s father–mercilessly, wrongly and just as sleazily. Why would they spare his son? Thanks for posting this. I’m putting together a list of contrarians making this bogus argument to rub it in their faces in 10 days when the IPCC report comes out and proves them wrong (which it will). Pielke Jr. made a similarly inept argument today (only plotting the multi-model mean and ignoring the envelope of model runs and uncertainty range). So much for these two being ‘honest brokers’ or, you know, competent at interpreting data. Astonishingly, even William Connolley had things to say about Dana’s behavior that I agreed with, and let me tell you, it is a unique day indeed when Mr. Connolley and I agree upon anything. All of this could have been avoided by a simple admission of making a mistake, and offering an apology. Everybody would have been moving on. Instead, we have a spectacle of unprecedented stubbornness, coupled with the sort of egotistical stonewalling we’d expect to see from a politician, something that people are going to remember for quite some time. December 5, 2013 in Climate ugliness. I wonder how this is going over with his co-workers at the oil company? @Otter I often wonder if they know how much company time he wastes on this stuff. Dana is arguing about his revelations regarding the miracle of AGW. He is not discussing a rational process. Sadly for Dana, his revelation does not hold him to a high standard of ethical behavior. Also sadly for Dana, he is not bright enough to talk his way out of his errors. He can only hope to shout more loudly and arm wave as distractions from his failure. Dana Nucitelli, Joe Romm, Stefan Lewandowsky, and so many other stubborn and arrogant alarmists activists act like they’ve got all the money in the world backing them. Well, maybe they used to, but we’re about out of other people’s money. Impervious to embarrassment. Righteousness trumps sanity. There was a significant increase in tornado occurrence during two periods in the last 33 years – in the early 1980s when National Weather Service (NWS) warning verification began, and in 1990 when the WSR-88D became operational. The increase in reported tornado frequency during the early 1990s corresponds to the operational implementation of Doppler weather radars. Other non meteorological factors that must be considered when looking at the increase in reported tornado frequency over the past 33 years are the advent of cellular telephones; the development of spotter networks by NWS offices, local emergency management officials, and local media; and population shifts. The growing “hobby” of tornado chasing has also contributed to the increasing number of reported tornadoes. If you go to WOTTS and I’m not saying that I don’t have to wash after that but the snipping in comments is a site to see they be at one another s throats over this as Dana will not back down still . I have no idea if Pielke was trying to be misleading or just fell into an all to common logical fallacy. I agree with the criticisms of DN. From a purely technical point, I think he misinterpreted what RP said. RP said that actual tornadoes hadn’t increased. Of course, that’s a verifiable fact. I think DN interpreted RP’s comment as meaning something like: “The underlying propensity for tornadoes hasn’t increased.” That’s not a verifiable fact. It’s not even clear that the underlying propensity for tornadoes is objectively definable. Anyhow, my impression is that DN was disagreeing with something like this incorrect interpretation of what RP said. I wonder if this jumping the shark moment is actually prepositioning in order to secure a new postion should his currnt big energy employer get tired of the embarrassment. Dana is a perfect example of what Evan Sayet called ‘the permanently infantilized’. Oh goodness me there are several other wot(t)supwiththat web sites. Well I never. WUWT is having babies. Dana and his mates are Xtreme Activist Nutcases who will continue to distort the truth (lie) in order to push their particular religion down the throats of the increasingly skeptical public. Anthony: Does someone someone actually employ this guy. This is one of those moments when you’re driving past an accident and you can’t help but look. Just imagine if there were a picture of Dana in a German tank gaily heading off to Stalingrad – how apt that would be! Fixed… your use of the word “righteousness” is less than optimal. The proper etymology of the word “righteous” reveals its intent: ‘right use’, as in the right use of an aspect of consciousness. Self- righteousness more aptly implies a self- justified misuse of an aspect of consciousness, which (I think,) is what you meant. Even the Winston Smith of wikipedia is waking up to the reality. In the age of the Internet the shame of global warming advocacy burns forever. His record of over 5000 climate gate-keeping edits and the intentional smearing and vilification of sceptics is permanent. 1. Bail out and attempt escape and evasion. 2. Ram the throttles past the afterburner indent to “full stupid” and auger in. Romm, Mann, Flim Flammery, Gleick and now Scooter boy have chosen option 2. It becomes clear that Dana’s obnoxious behavior arises from a) his predisposition to dislike Roger Pielke, Jr. and b) his misunderstanding of Pielke’s work. Dr. Pielke builds on the incidence of violent tornado data by also considering normalized damage. Since the incidence and damage data align he is able to express a level of confidence that there is a negative trend in incidence. Without considering damage, issues related to things like the introduction of Doppler radar make it difficult on climate scales to make such a conclusion with the same level of confidence. Dana is pitting one expert against another without understanding what either one is doing. Further to that point a tweeter named @thingsbreak has now gotten Dr. Brooks to contradict some of Dr. Pielke’s conclusions regarding tornado incidence. But of course Dr. Brooks wasn’t given any context for the question. He has no idea that he is responding to a statement made by Dr. Pielke in a 2 year old blog post. And without knowing the source he has no idea of the basis of the statement. He would of course answer the question on the basis of his own work even though he might also agree (or respectfully disagree) with Dr. Pielke. But shameless Dana can’t help but pronounce this as vindication in a post at the WOTTS trolling blog. Back in 2005 I and others reviewed the entire hurricane record, which goes back over a century, and found no increase of any kind. Yes, we sometimes get bad storms — but no more frequently now than in the past. The advocates simply ignored that evidence — then repeated their false claims after Hurricane Sandy last year. surely the tabloid – on this occasion – is more fact-based than the pseudo-intellectual TheMonthly! Best to be on their good side. Even better to know which side that is. *: Does someone someone actually employ this guy. Oh yes over at wotts, I read open jawed, it’s a car crash of a thread , fighting like rats cornered in a trap. I was almost rolling on the ground with laughter. It has become difficult to regard any of “the travellers” statements as credible, so W.C.’s words are indeed a surprise. Connolley just wants to use the high-brow approach of the European intellectual socialist while Dana takes the whatever-works approach of the American Alinskyite. A difference over style not over substance. And that would be different, how ? So when I tell my kid the there is no such thing as the bogey man I am actually incorrect? I should say that currently I have no information that would lead me to believe that the bogey man exists. You do realize that the way you have characterized it, that no one, under any imagined circumstances could say: “Tornadoes have not increased in frequency, intensity or normalized damage since 1950.” Because every measurement ever made by man kind has error associated with it. And within that error there could always be a non detected trend. Most people know and understand this in there interpretation of statements such as the above quote. Nuccitelli is acting like a child – unable to admit when he is wrong. But then his moderation at the Guardian represents his childish nature. Tim says: Amazing use of logic Felix. A small problem. By your logic, if there is no evidence of an elephant in the room, the elephant still might be in the room. Maybe we better look under the chairs for the elephant. You are twisting a reasonable statement. By your logic you would have Roger Pielke Jr. add some interesting qualifiers. I will list some for you. Roger would have to define the term tornadoes as defined in ‘the paper’. (Someone might have a different definition and thus the fact has to be established.) 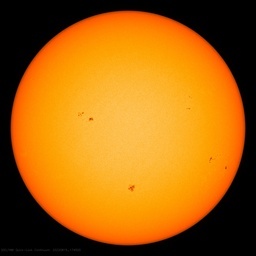 The frequency, intensity, and normalized damage he is referencing would have to be identified as having come from the only available facts (data available concerning such information) and not from any hairbrained dreams and or pontifications of idiots such as Gore and the other priests of AGW. Speaking of people that make up facts makes me realize Roger would also need to qualify he isn’t referring to any tornadoes in an alternate universe that hasn’t yet been disproven. Oh my goodness he also didn’t prove that Dana doesn’t live in an alternate universe where the paper is different. The list of things that are not proven to not exit could go on ‘ad infinitum’. Thanks Scott Scarborough for putting it so clearly. Felix sounds like an AGW apologist. The real scientists do all the work. The hangers-on then try and politicise something that they can’t fully comprehend because they are charged with keeping the lie alive, whatever it takes. General Public Encounters Skeptical Science Forum Posting Guidelines. I’m just surprised anyone would expect anything better from someone related to skepticalscience. Their so called scientific paper on “concensus” (a rational phallacy) is quite simply absurd on so many levels. The papers used include papers by biologists, geneticists, economists and traffic counters; are these really climate experts, cable of defining a generel scientific concensus about CO2 ?? Dana Nuccitelli is the most “misleading” person I have run across in this debate. By a wide margin. And that is really saying something because there is a whole host of characters doing all sorts of misleading. Be careful arguing with a fool, he will drag you down to his level and beat you with experience. As for the elephant dilemma the data are clear. We can can examine the room and conclude there is no elephant in it. All elephants are easily visible at close range. So, not seeing one is evidence that no elephant is there. If, on the other hand, there was a big box in the room and we could not see in it, there is no evidence an elephant is in the room, but we cannot conclude that no elephants are in the room because we have not examined the entire room. The bogeyman problem is different. The term “bogeyman” is not well defined. If we ask, are there evil people that break in to houses and harm children, the sad answer is yes, there are such people. OK Dana, in my judgement, you’ve embarrassed yourself horribly. Roger Pielke Jr. challenged you to “Put up, or shut up” but instead, you blathered incoherently about nothing. The only thing you accomplished was to prove you’re both a liar and a moron. I just hope your boss is aware of the imbecilic vitriol you tweet and post. Big oil Dana is at it again! 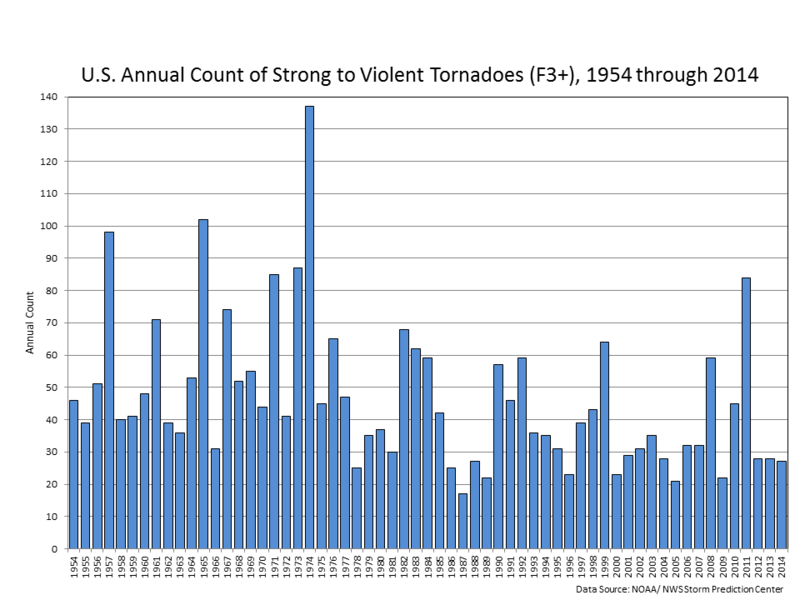 These are the stats/graph on strong to violent tornadoes that has warmists upset because of what they show. Here are some of the excuses for why we should not believe it. 1. Tornadoes in the 1950’s-1970’s were not really that powerful. They received higher ratings than they deserved from meteorology students that used old newspaper articles describing damage to rate them, which, they claim caused them to be inflated. 2. Considerable evidence uncovered in the last decade suggests that previous tornadoes actually were underrated compared to the 1980s and 1990s. As an operational meteorologist in the Midwest the last 32 years, I can say with certainty that unique conditions lead to F3+ tornadoes and an extreme meridional temperature gradient is very often a factor. Alarmists want their cake and to eat it too. You can’t have warming higher latitudes and a decreasing temperature gradient without it causing LESS extreme weather of some events like violent tornadoes. This is meteorology 101. Just like you can’t have big increases in atmospheric CO2 without it causing massive increases in plant productivity and crop yields. This is the known law of photosynthesis 101. Lets get back to KNOWN laws and real science and the real world. It’s all right there. But “”“Ghost sighting records are not accurate enough to tell whether ghost sighting incidents has changed over time.””” give the believers in such things the out to say “See! They ARE there, and there are MORE! We just haven’t been able to detect them!!!”””. See how easy it is to drag this into the mud. At some point, even with uncertainties, you have to be able to say whether the fingerprints are there and have been measured, or not. The data may not be the best in the world, but it’s the best we have to date, and it’s not currently showing an increase. PS. I just read the article Nuccitelli is refering to and do agree this isn’t simple to flesh out. And the farther back in time you go, the more difficult, if not impossible, it is to find any type of proxy to show tornidic activity during any period between 1500 and 1950 on the American Continent that is now labeled as the United States. But it’s safe to say, at this time, there is no measurable effect that the tempurature increases from the 50’s to now have caused tornado activity to increase, or caused the recent F 5 . The methodology developed by Harold Brooks of the NOAA (listed in this Twitter-storm), says that 2013 tornado counts will be the LOWEST on record in the adjusted database which starts in 1954. … and I thought that twitter bullies were mostly young teenage girls jealous of their victim! Sounds like on the ‘Man caused climate change’ Plantation these guys are now fighting over which field to be in. 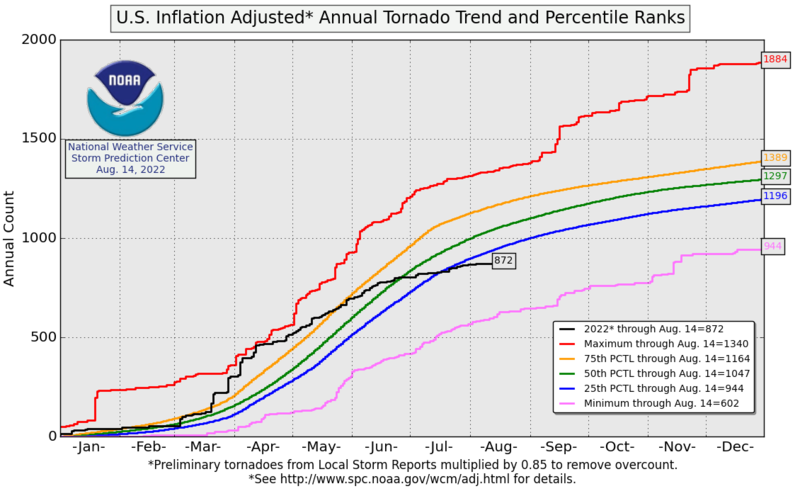 Surely the onus is on those who claim that tornadoes have increased to provide evidence to support that claim. Dana [thinks] it is enough to make unsupported assertions and expect others to disprove them. When others look at the evidence and see no sign of increased tornadoes he has the gall to lecture them over the difference between lack of evidence and disproof, and accuse them of lying. His position is completely ridiculous. I can’t understand how he thinks he can get away with it. Dana is like a playground bully, not a scientist. I’m just stunned by his ineptitude and the degree of propaganda that he attempts to shove off on people as science. His blog is a riot. Someone there suggested the term “Sciencensus” for his type of work-I find it delightful! Let’s make it a popular term and mortify the crap out of them every time a real scientist uses it. Here is a link to Dana’s employer, including a history of contracts awarded. Judging from the information posted, the firm is in the environmental protection/clean up business. Dana’s contributions seem to be limited to creating FUD for potential company exploitation via climate extortion. In short, the man’s job depends on pinning non-existent disasters on evil carbon consumers…a very short leash to be sure. Methinks, he’ll be on the streets within a couple of years. It’s no wonder he behaves like whimpering child. The above seems to qualify. Oh my! I have witnessed the creation of the first digital climate change victim! Nucitelli is spoiled by the fact that the Brits have offered him a blog in The Guardian where his main activity appears to be to suppress anyone who posts any link to measured data. Do it once and get from Nucitelli a “commenting has been disabled on this account” For good. I wonder if the likes of Dana, John Cook, Lewy etc realise just how much damage they do to the CAGW cause ? Yes. I agree. If Pielke has stated his case that way he would have avoided the logical fallacy. The desperation of the AGW’s is quite apparent as they are slowly being engulfed by empirical data and a sceptical public with politicians who are looking for a way out which would leave the Dana’s of this world to face the music and carry the can. PM Cameron has already referred to “Green Crap” as he wishes to get re-elected and the energy companies can sense problems looming by offering to hold prices for two years….in the full knowledge that they may decrease through political pressure on profits and a reduction in the root cause…green taxes. A few weeks back on BBC’s Question Time they had the Climate Change Minister, an MP and a Union Leader talking about melting ice caps when in reality the opposite is taking place. Current global sea ice is the 7th highest in the last 35 years. We are one bad winter away from real dissent and the Guardian, Independent and the BBC can continue to ignore and delete the dissent coming their way but they are on borrowed time. Brooks does his best to pander to the alarmist crowd while appearing to be intellectually honest about the lack of increase in Tornadoes due to global warming. When asking Brooks a question it is best to phrase it in a way he cannot spin his way out of. Where and when has Brooks been misused by the “denial side” (no idea what that is) according to the Kloor piece? Of course, it is always be possible to claim that fairies, unicorns, or perpetual motion machines might exist as long as the standards adopted for proving they don’t exist are high enough. Likewise with elephants in a particular room. Has it occurred to you that we are talking about tornados? We have tornados in the US all the time and for as long as people have been around to notice them (and make records of them). With all due respect to Mr. Brooks and others, records may not be perfect but surely even he would admit that a sufficiently large increase in frequency, intensity or damage would have been noticable even in the records we have. What Mr. Brooks and others are evidently asserting is that the possibility that a very small elephant is hiding behind the sofa cannot be entirely ruled out. This observation is surely true as far as it goes, but I wonder who is “misleading the public” when point is being made. If, as everyone evidently concedes, there is no evidence that tornados have increased in frequency, intensity or damage it should be possible to state the conclusion that increase occurred without being accused of misleading the public. Dana knows very little about climate, nothing about feedback, and either refuses to, or is unable to solve simple junior high school math I put to him in the past. He is just an activist – to be ignored by both sides as a scientific irrelevance. Connolley accurately discerns which way is up? If I was Dr. Pielke I would not take what an Exxon-funded shill like Dana Nuccitelli has to say seriously. When you lie, cheat and steal for your cause, even if you genuinely believe the end justifies the means, pardon the rest of us for simply seeing you people as liars, cheats and thieves. Nuccitelle, Gleick, Mann – we’re looking your way. Felix, you can’t have it both ways. If you claim the evidence does not support the idea that tornado activity has not increased, then, by reason, no one can claim tornado have increased either. I’ll cut to the chase: this means no one can claim CO2 has anything to do extreme weather events. The burden of proof is on those who propose the theory, not those that question it. Warmists everywhere, yes even you Dana. Be aware that there is an established law of physics called the law of conservation of energy, be also aware that we are talking about a piddling 0.6W energy imbalance per square meter. That’s less than the light of a christmas led bulb spread over a 1/2 m circle, that’s it. With that piddling bit more energy you are wanting the temperature of the atmosphere to rise, the entire ocean to expand, more water to evaporate, storms to get bigger, storms to be more energetic, more wind, more evaporation, more rain, more lightning, deep oceans to warm up, gigatonnes upon gigatonnes of ice to melt, more algae to grow, rocks to erode faster… and only the good lord knows what else is claimed. Each effect however takes energy OUT, heat expressed as increased wind speed is no longer heat, heat absorbed by growing algae is no longer heat, it is matter, locked up in chemical bonds. Every effect you claim SUBTRACTS from the heating effect. All these effects and the warming too is supposedly powered by an extra led christmas light per square metre. What you claim and support Dana and other warmists is energetically impossible, it’s preposterous. The wilder your claims, the more you embarass yourselves. “I have no idea if Pielke was trying to be misleading or just fell into an all to common logical fallacy …” (Felix). There is a common logical fallacy namely banal objections ‘where irrelevant and sometimes frivolous objections are made to divert the attention away from the topic’ (Wiki). But Andy–they ARE the “cause”. That’s why CAGW will continue to roil and sputter in their minds–and only funerals will cleanse this earth of the meme. No they don’t, for gods sake don’t tell them. Much like the Australian blog that spends its whole time highlighting everything from this blog..
Its so embarrassing for the AGW mob. Its reeks of desperation. But then again that’s all they have left. Nuccitelli is right is lawyer/philosopher terms, but has forgotten the original scientific context, which was the AGW claim regarding tornadoes. BOTH of Pielke’s statements are consistent with the fact that no trend is visible in the data. That the data are inconclusive is, actually, not relevant to the matter. Words can be parsed endlessly, but the claim that tornadoes have gotten worse is not supportable. General scientific usage and popular use of this phrase is equivalent to, “the claim (that tornado activity is more intense and/or frequent) is false, from a scientific point of view”. Thus, Pielke gave the correct understanding, by two different statements. I don’t think that’s misleading, as all. Sorry, some people…. you just hand them a shovel with a longer handle ( and no ladder). Repeated for effect. The warmists simply cannot have both arctic amplification AND increased extreme weather. The very science which they quote requires that cold things warm up more than warm things. So, the delta between night time lows and day time highs must decrease. The delta between winter and summer must decrease. The delta between low altitudes and high altitudes must decrease. The delta between low latitudes and high latitudes must decrease. And with all of these decreases, the end result is lower temperature gradients which result in less violent weather. A warmer world is simply a more tranquil world by all the physics and meteorology that we can apply to understanding the problem. Dana’s problem is that he is not promoting science, but magic. His belief is that any sufficiently advanced magic will be indistinguishable from science. Ah Dana’s Dill -Blurt moment….. again…… and again …. Why anyone pays any attention to what anyone and especially Dana Dana writes in the Guardian re climate is beyond me. The CAGW party is all over bar the shouting – eventually the partygoers will have to call it a day. Statement 1 refers to a particular time frame, 1950 – 2013. Statement 2 refers to a vague time frame of climatic time scales, which is presumably longer. These two statements are not inconsistent. Statement 1 is a measurement. Statement 2 is a weaker claim based on that measurement. December 5, 2013 at 5:00 pm. There are lots of Nutticelli’s out there – Wild people who believe in wild weather. Inciters of the Warmist Brown Shirts. Over a decade ago, I wrote an article in the National Post, saying that Canada should not ratify the Kyoto Protocol. I soon received an angry, threatening email from someone who held me personally responsible for the flooding of the Prague. Dear Sir, you are entirely correct. I am the One fully responsible for the flooding of Prague. Now “run along”, or I’ll do it again. I feel like, y’know, under-appreciated, like TOTALLY! I mean, like, y’know, some of my friends have received like, numerous threats. And all I got was one lousy Nutticelli? Am I not worthy of like, multiple threats? Like, I mean, y’know: Have I not tried like, hard enough? Dana ain’t no Nick Stokes! For those of us not scientists who may have studied, for example, the philosophy of religion, where else do we see the argument that if something is not discernible that dose not mean it does not exist? – that’s right – the existence of god. And for that he is likely thankful! Dana is an embarassment. I think he should be consigned to the ignore list as he offers nothing in the way of substance. That is what makes him a perfext fit for Sceptical Science website. No Felix. Dr Peilke is not trying to mislead nor has he fallen into any logical trap. He is making two statements based upon his research which he claims are true based upon the evidence he has collected. They are not inconsistent with one another, given the array of true statements of varying generality he could make on the basis of his research and evidence, nor are they logically equivalent. Your point about incompleteness of the evidence has more force but is a weak one. A reasonable prior, given the improvements of measuring and recording events over climatic timescales is that measures of frequency would show an increase (but not necessarily in intensity). The lack of any evidence of an increase is therefore strong evidence that, in fact, there has not been one. I think the self satisfied grin gives him away. That statement is a logical falacy by your own rules, Felix. You should have said something like “The available data suggests that all elephants are easily visible…” but the data only applies to the elephants we’ve observed. That’s exactly the same situation as you’re complaining about in Dr Pielke’s statement – the data on the tornados we’ve observed fully support that they haven’t increased, just as the data on the elephants we’ve observed support that they’re all visible at close range. In fact, logically, your statement is less defensible than his. We may have missed some tornado data which counters Dr Pielke’s claim but we’ve [i]definitely, by definition,[/i] missed all data on any unobservable elephants. A truly fatuous statement from a truly fatuous man. Dana, when have the IPCC ever been right about ANYTHING? You really need to get off your high horse kid. You might just hurt ourself badly when you fall off it. A classic case of a little man made big by circumatances , but in fact being little all along . A classic case of a little man made big by circumstances , but in fact being little all along . “Nucitelli is spoiled by the fact that the Brits have offered him a blog in The Guardian where his main activity appears to be to suppress anyone who posts any link to measured data. I concur! I had the nerve to link to some peer reviewed papers and Guardian articles which clearly contradicted his claims that no scientist had ever predicted that Artic Ice would be gone by 2013 and I found myself removed. Since then none of my comments ever make it past moderation. I like you have become one of the disappeared. Perhaps they would have us on a train to Siberia. Regardless of whether his propaganda articles are remotely believable or not, Nuccitelli’s true nature is revealed when you spend some time watching new comments and how they are “moderated”. He is just making an idiot of himself over at the Guardian and it also becomes obvious that he refuses to recognise or address the facts. I suppose Nuccitelli and the Guardian are an appropriate match. Thanks bobl, that’s the best elevator speech I have seen in awhile. by demonizing coal (produces 2x as much CO2 as oil per unit of energy) oil companies hope to gain a monopoly on energy production, knowing full well that renewables are not a replacement for 7×24 reliability. by promoting CCS oil companies hope to get paid to inject CO2 into the earth for enhanced oil recovery. a process that currently costs them money. oil companies how very much profit from the AGW alarm. that is why you them promoting green ideas so heavily. not because they believe in green, but because they hope to kill coal as competition, leaving them a monopoly. once coal is eliminated, they know full well that green cannot compete against them. The idea that a climate blogger can somehow dictate what an academic can and can’t say about their own research gives a window into some of the deep pathologies in the climate debate. The list of those who are treated like this goes far beyond AGW. Intelligent Design Scientists, the Tea Party, those who dare question the medical ‘Elites’ science, those who think homosexuality is not natural or normal, et al. There is no reasoning, no vanquishing your foe through logic and data or skillful debate. Ad hominem is mightier than the sword. Rather, it is the precursor to the sword. First the mocking of being outside the ‘consensus’, then character assassination, then the ‘dangerous’ label(aka ‘misleading the public’), then recant or lose your job and family and life. Our current trajectory will lead to Stalinistic witch burnings in a generation or two. You guys are all on the list already, courtesty of the NSA. Felix – there is a small box in my living room. Do you suppose there is a tornado inside? They are so much smaller than elephants and easier to hide. The photos of this early winter ice storm will be on line for all to see soon from the west coast to the east coast , all this week , freezing rain, sleet , snow ,, deep south in Texas ect. More to come, massive tree limb fall all over Texas today. Huge ins. loss, power lines down from the limbs and ice. Mean old real facts come to cover over the lies and fraud. It will not take a study to know now, and more facts of ice to come. Pielke’s big mistake was feeding a troll. Felix reminds me of the judge on The Good Wife who insists that all lawyers end their statements with, “in my opinion”. Can some do a study on the effects of Human induced global warming and degradation of human integrity? This has happened in the past and will do so again. In one paragraph you have summed up many of the 20th century’s tyrannies. Just swap “consensus” with the word fascism, communism or whatever evil. As you are no doubt aware there are those within the AGW “consensus” that want to dismantle democracy and reduce us to serfs. If that’s the case then exactly what is accurate enough to make any statement about it? “My bank records are not accurate enough to tell whether I have become poorer or not”; I will use this when my wife queries the 500 quid I spent on the new camera. I have also experienced this many times. I think I’m on my 7th or 8th account now at “free to comment” Guardian. Now I don’t bother much, I just report breaches of the Editors Codes and Practices to the Press Complaints Commission. Funny thing is though, after raising a complaint the offending article gets amended and I get a reply saying the breach is no longer there. The most recent was Adam Vaughn saying the Chinese lake was largely man made when it formed naturally. I also pointed out the wrong year too. Man made lakes tend to be more permanent than natural ones so I would guess so he slipped that in for good measure since it was mainly used to supply water for mining. These people are so cunning and nasty they’d target children threatening no presents at Christmas. Erm, what did you say (in background), they’ve already done this?, Sorry, got interrupted. Nasty people indeed. Dana,Nukem, Peter Gleich and what is Stephan Lewandosky’s rant about here? An honest Climate “reporter” would note the difference in the OpEd views and those like Heidi Cullen, Al Gore, etc. who continue to make the outrageous claims that Dana agrees with. But no one ever claimed that Dana was honest. I see several logically fallacious attempts to invalidate Felix’s point, and even a couple calling him an agw apologist… Name calling, here? Words mean, unfortunately, what they mean. I wholeheartedly disagree that tornados empirically are increasing, instead that our sensitivity to them (detection, communication, impression) has increased. Felix’s analysis of the semantics of the scientific statements given is still correct, as invalidating it seems to require assumptions ( that other things are omitted), ad hominem, snark… But I don’t see real logic. “These garbage tactics work, so they don’t stop.” That’s the one statement that rises above all others. Smear and confusticate, slime and misspeak. It works. It has always worked. I also love the reference to politicians because it is their bread and butter. One thing to keep in mind when such words hurt and false accusations sting: the one blustering the most, hating the most, is losing. I’ve seen it in debate a million times. It’s crazy how you can sit at a table with people you know are bright and intelligent, only to see them descend into the most bizarre and inept tactics possible. It’s because they’re losing, or see themselves in danger of losing. Just like the bureaucrat that is always seeking to retain his/her power, so do those who cling to the spotlight of their own vanity. No one wants to be wrong, least of all the narcissist. Nuccitelli appears 3 times on the AGU’s Science Program listing for their Annual Fall Meeting in San Francisco next week. He is in one talk session and two poster sessions. All three of his appearances are with John Cook. Abstracts of each can be found via links on the AGU website and access to the abstracts is open to the public. Obviously Pielke has an uncertainty estimates for his measurements. All scientific measurements have uncertainty estimates, even ones that are not “of sufficient quality” whatever that means. Measurements of lower quality simply have larger uncertainty estimates. But there is no cut-off between sufficient quality and insufficient quality – the lower the quality the higher the uncertainty measurement. You are taking one quote from Pielke out of context and acting like that is the only thing he said. His research provides uncertainty estimates, he clearly stated in his testamony before Congress that there may be a human infulence that is not yet measurable in the data. But you claim that a one sentance quote had better say absolutly everything or he is being misleading. I have never seen any one sentence that explains everything about such a complex subject. As for the tornado “experts” that say the the data is insufficient to say if tornadoes are increasing or decreasing – they can always say that no matter how good the data is since no data is perfect, it always has an uncertainty band and there could always be a trend within that band. So you critisize Pielke for not stating everything in one sentance but withhold cririsizim for the tornado “experts” for stating a tautalogy. Dana has apologized to Brooks, but not Pielke. Why do people assume only no increase or increase? Is it possible we have a decrease??? We may never know due to detection technology issues etc., but it wouldn’t surprise me if Dana Tetra Tech Nuttercelli never entertained the thought. Just curious, are insulting and abusive comments like this allowed? Dana obviously does not read the climate comments section of the Guardian. Dana knocks none tornado experts. Dana did a BA, Astrophysics & MS, Physics. Therefore Dana is an expert on tornadoes. Dana feeds himself from money paid to him by a fossil fuel services company. That company has now gone into windpower. Dana seems to have his fingers in all the pies. CAGW, fossil fuels and wind. What a Fking hypocrite. …convenient omission of critical caveats, hence conveying confidence not supported by the data. Dana just characterized every assertion ever made about CAGW. @Felix: But we *have* examined the whole room, better than we ever did before (thanks to the Doppler radars, spotter networks and everything but the kitchen sink)! It looks like we found only a lot of mice that may look from afar like teeny-tiny elephants to the intellectually challenged (who have promptly upped their elephant sighting reports! ), while those who have the brains to understand are recognizing that if so many mice are detected, there is no place left where a real elephant could hide unseen. The profusion of “tornado” reports without consequences – no major shipwrecks nor damage at landfall – shows that our detectors are, if anything, over-sensitive. Would that your BS detectors emulate them! Dana is a ‘Special’ person. No need to take that guy seriously………….Seriously! One wonders what a Dana would deploy to extend or preclude onset of the next glacial if not CO2 or methane……..
Dana, at the half-precession old Holocene what is one to make of extreme weather events, tornados, whatever? “The transition (MIS 5e/5d) from the Last Interglacial (Eemian, Mikulino) to the Early Last Glacial (Early Weichselian, Early Valdai) is marked by at least two warming events…. Unless you know of some other counter to http://www.agu.org/books/gm/v137/137GM02/137GM02.pdf other than http://large.stanford.edu/publications/coal/references/docs/Lisiecki_Raymo_2005_Pal.pdf then you might want to give a thought as to when you and I and all of us live. The climate is supposed to have “a strong increase of environmental oscillations during the very end of the (present) Last Interglacial and the beginning of the Last (next) Glaciation.” So even if you are right do you have any comprehension at all that extreme weather usually accompanies end extreme interglacials? Otherwise, how am I going to tell it’s you, or me, or us, all of us, and/or the null hypothesis that Gore’s me? Help me Obe-wan Nuccitelli….. You’re our only hope………. And exactly what has that got to do with the price of potatoes? Dana is a Climate Snob and patronises everybody else. Simple truth! A few people have already responded to this but I’m not sure if the key point has been made which is that Pielke statement was correct. For 2 statements to be consistent they don’t necessarily need to say the same thing it’s just necessary that they don’t contradict each other. The 2 statements broadly make the following points. The 2 statements are not inconsistent. Nobody followed up on the public panning of Muller (who apparently made the “mistake” of reading a graph showing that strong (3-5rating) tornadoes had in fact decreased over the past 5-6 decades, then mentioning it out loud — seemed rather reasonable to me) but not being part of the “tornado cognoscenti”, needed to be “informed” by Markowski et al that some of the early tornado data was not good; what followed appeared to be an argument that early- to mid-20th C tornado severity was over-estimated; thereafter an argument was made that severity had in fact been under-estimated… Hmmm. Notwithstanding the fact that Markowski et al look to be friends of Mann (the latter had nothing but praise for the former’s “vindication” of the Hockey Stick), and notwithstanding the fact that Muller made Mann look like an absolute charlatan in his video reviewing the practice of splicing tree-ring reconstructions to thermometer averages a number of years ago, is it possible someone has it in for Muller?